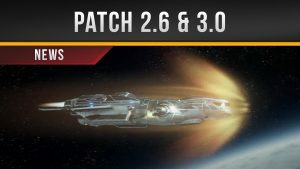 All of the Star Citizen players in this patch will also get to play as the Star Marine Star Marine being the game’s FPS module) for a little bit. Take on other players in two maps and on two modes, fighting in traditional spaceship corridors or by heading outside for a bit of zero-G combat. This new patch also adds new modes, new missions, balances, bug fixes and UI changes, Surprisingly in the patch notes, there is no mention of the games engines switching.